Around 50 species of seabirds have been recorded in Indonesian waters, approximately 30 of which occur regularly. Around 15 more species may occur, but the survey effort to date has been so sparse that few conclusions can be drawn. Species for which Indonesia is of conservation importance are shown in the table below. The conservation needs of seabirds in Indonesia has been a neglected area, receiving only sporadic attention. This is as much a consequence of a lack of leadership as much as a lack of resources, while the priority setting exercises of both governmental and non-governmental agencies have often failed, by their very methodology, to recognise the needs of pelagic seabirds. Chinese Crested Tern CR Largely unknown use as wintering location. Abbott’s Booby EN Uncommon non-breeding bird, may breed in east. Red-tailed Tropicbird LC Breeding resident, now restricted to a few islands. Masked Booby LC Scarce breeder, now restricted to a few islands. Brown Booby LC Breeding resident, now restricted to a few islands. Red-footed Booby LC Breeding resident, now restricted to a few islands. * Status (IUCN 2010): CR Critically Endangered; EN Endangered; NT Near-threatened; DD Data deficient; LC Least concern. Burung Laut Indonesia (‘Seabirds Indonesia’) was formed in early 2009 by local ornithologists passionate about seabirds and their conservation. With small-grant funding Burung Laut Indonesia initiated its first project, the Indonesian Seabird Survey (‘ISSUE’) by conducting two 2-day survey expeditions in the Sunda Strait with volunteers from local NGOs. One year on, there is now a both a growing number of enthusiasts and a greater awareness of seabirds and their conservation. 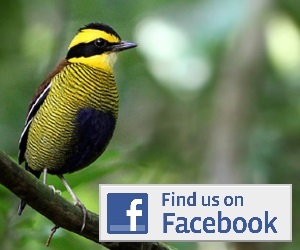 Burung Laut Indonesia members are all volunteers, many working for NGOs or government agencies within Indonesia. Our goal is to see seabird conservation properly recognised on the national agenda. We will achieve this by raising the profile of seabird conservation, raising stakeholder capacity, and by developing innovative and practical solutions to protect breeding, foraging and migration areas. There has never been a systematic review of the conservation needs of seabirds in Indonesia. The most comprehensive study published to date is the excellent review of seabird breeding islands in Indonesia conducted by Korte and Silvius (1994); now over 20 years old. Below we summarise what we consider the current conservation priorities for seabirds in Indonesia. 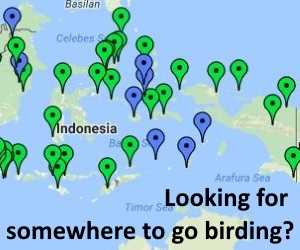 Six high priority sites exist; those known to still support significant number of breeding seabirds and including the islands of Sarege, Kakabia, Moromaho, Gunungapi, Manuk and Suanggi (see map). In 1994 these islands were estimated to support around 2,000 Red-tailed Tropicbird, 5,000 Brown Booby, 10,000 Red-footed Booby, and 2,000+ Greater Friagtebirds, plus small numbers of Masked Booby. Systematic survey data is lacking since, but based on ad hoc reports at least three of these islands still supported breeding birds in 2009. Assess current status of breeding birds on known islands and assess threats; develop management plan for each site in collaboration with management authorities, local government and local stakeholders. Secure legal status; In the case of unprotected areas develop a plan to secure legal protection, including exploring options for private purchase/easement. Secure active management based on tried-and-tested or innovative models, in line with management plans developed for each island; Include options for local wardens, local stewardship, management agency control, military or NGO control. Explore sustainable financing options including tourism levies. Initiate pest control if applicable. Raise awareness and capacity among stakeholders and management authorities. Assess current status on other potential islands. Implement steps as above as appropriate. Year round monitoring of Christmas Island frigatebird in the Jakarta Bay and surrounds, to identify usage and demographics. Quantify seasonal use of Sunda Straits as a key migration corridor between Christmas Island and the Sunda Shelf (see also below). Assess threats to birds within Jakarta Bay and Sunda Straits through interview-based survey of target groups (fishermen, fishing trap owners, fisheries and shipping agencies, harbour police, military, boat operators). Raise awareness of protected status among target groups. Work with management authorities of Pulau Rambut, Muara Angke, and Pulau Seribu terrestrial protected areas to extent protection to Christmas Island Frigatebirds within the Jakarta Bay. Facilitate Increased collaboration between other stakeholders. Year round ship-borne monitoring of migrating seabirds and threat assessment, focused in particular on the Aug-October and Mar-May migration seasons. Awareness and capacity building among users of both straits, including fishermen, ferry companies, tourist boat operators and government management agencies. Direct lobbying to planning agencies, constructors and investors of the Sunda Strait bridge plan to ensure adequate consideration is made of impact on seabirds. The non-breeding use by seabirds of seas around Indonesia remains poorly known. Three areas merit specific attention and merit ship-borne surveys. These in turn may identify further needs. Java Trench/West Sumatran Islands area: The Java Trench runs 3,000 km from the tip of Sumatra to beyond Bali. Along its Sumatra border is lined by a chain of small islands. Sporadic survey work in this area has revealed the presence of the endangered Barau’s Petrel, Abbots Booby and Hutton’s Shearwater and the near-threatened Jouanin’s & Tahiti Petrels. Further work is needed to determine how regularly birds use this area, and to assess any threats. A concerted campaign of mass-media coverage, reports, journal publications and internet posting of seabird conservation-related material. Seeking to raise profile among general public, politicians and key stakeholder groups. Interagency workshop and action plans to identify roles and responsibilities. Training workshops in monitoring methods, breeding island management, invasive pest control delivered to management agencies, NGO partners and key stakeholders. Very interesting. I had the honor to meet Francesca Noni in 2017. Very important work you are doing guys and Im open for cooperation with you.